Y SPA Y Spa has created a fabulous space which will stimulate all of the senses. This little bit of luxury allows you to use hot and cold experiences as therapy. pleasantly as you would in a sauna, but in a totally different climate â&#x20AC;&#x201C; not so hot but a good deal more humid. Softy 55 degree 30% humidity provides a more gentle heat and softer experience. Salty 42 degrees 100% humidity is reminiscent of a walk by the sea. hundred year old logs, gives the hottest of the Y Spa experiences and is not for the faint hearted! It is located outdoors in our spa garden. swimming pool, the Hydrotherapy pool is a place to relax and let the bubbling waters still your body. more invigorating Glacier Shower route takes you on a journey towards the Frost Wall where your body can feel the chill. Our Time Out area is the perfect place to get stuck into your favourite mag or curl up in a reading pod and finish a chapter or two of your current read. Tucked away, you will find the waterbeds warmed to body temperature, where you can dream a little dream or two. Located in the heart of the hotel is another dedicated relaxation area for our spa guests. Offering an array of waterbeds, reading pods and Lazy Boy bean bags to truly unwind. ELEMIS is the luxury British spa and skincare brand providing lifestyle solutions for every man and woman. ELEMIS provides the solutions to support clients ever-changing needs through results driven skin and body care – professional spa therapy-led products with clinically trialled results. Dr Murad’s clinically proven facials are tailor-made to suit your individual needs, combining the most advanced ingredients, with the latest skincare technology for instantly youthful, radiant, flawless skin. During your consultation we will establish which treatment will give you the best results for your skin. Indulge in one of our luxurious O.P.I treatments, giving you instant visible results and long-lasting glamorous hands and feet. A modern, luxurious range of body therapies, candles and room scents. We’re excited to introduce you to the benefits of this beautiful, organic product range that also work as holistic treatments because their essential oil content is so high. If NEOM can’t make you feel pampered then nothing can! Inspired by Simon who is an expert British beekeeper, Bee Good harnesses the centuries-old healing powers of British honey, propolis and beeswax in an innovative range of results-driven, award-winning skincare with a conscience. Their naturally based products blend these ethically sourced British plant oils. The bees are never harmed and never tested on animals. Indulge in this wonderful taste sensation with this scrumptious package. Afternoon Tea served between 3.00 pm - 4.00 pm. Use of Thermal Spa 4.00 pm - 7.00 pm. Available Monday - Friday. Wake-up with something fabulous to look forward to! Use of Thermal Spa from 10.00 am - 2.00 pm. 2 course hot and cold buffet lunch (served between 12:30 pm & 2.00 pm). Available Monday - Friday. Start the day feeling gorgeous with our fabulous breakfast and spa package. Full breakfast served from 9.00 am. 4 hours use of Thermal Spa from 10.00 am to 2.00 pm. Available Monday - Friday. Enjoy feeling idle for the whole afternoon! 2 course buffet lunch at 1.00 pm. 4 hours use of Thermal Spa from 2.00 pm to 6.00 pm. Available Monday - Friday. Take back your Sundays with a little help from us. Enjoy Sunday Lunch between 2pm and 3pm. Use of Thermal Spa from 4.00 pm to 7.00 pm. Seasonal & special offer packages are available online, just visit www.yspa.co.uk/special-offers. Signature days are available every day of the week, subject to availability. Full day packages include use of thermal spa from 9.00am - 5.00pm, unless otherwise stated. All Demi Day packages include 4 hours use of the thermal spa. Day guests are asked to check in from 9.00am and check out by 6.00pm. A robe, towel and a pair of slippers are provided for your use during your day. STAY Spa Make the most of your time away and enjoy the relaxing surroundings of an overnight break. Choose from either the Sunrise or Sunset Hideaway and sooth the stress away. One night stay includes: • Dinner, bed and full English or Continental breakfast. • 2 course hot and cold buffet lunch in conjunction with Spa use. • 4 hours use of thermal spa facilities. Sunrise Hideaway - thermal is offered in the morning on day of departure or Sunset Hideaway - thermal is offered in the afternoon on day of arrival. Sunday Runaway One Night Stay Spa includes: • Dinner, bed and full English or Continental breakfast. • 2 course hot and cold buffet lunch in conjunction with Spa use. • Use of thermal spa facilities for a full day on day of departure (Monday) Choose 1 of the following treatments: • Y Spa Fresh Face treatment • Y Spa Soothing Scalp treatment • Y Spa Happy Hands treatment. One Night Stay Spa includes: • Dinner, bed and full English or Continental breakfast. • 2 course hot and cold buffet lunch in conjunction with Spa use • 4 hours use of thermal spa facilities on day of arrival or day of departure Choose 1 of the following treatments: • Y Spa Fresh Face treatment, • Y Spa Soothing Scalp treatment • Y Spa Happy Hands treatment. These packages include use of the thermal spa and relaxation areas; please check individual packages for specific entitlement. Thermal spa use, taken as a 4 hour slot from 9.00am to 1.00pm or 3.00pm to 7.00pm according to availability, guest preference and is pre-booked prior to arrival. Full day packages include use of the thermal spa from 9.00am to 5.00pm unless otherwise stated. A robe, towel and a pair of slippers are provided in your bedroom for your time at the spa. Please leave in bins provided on departure. All guests may check into their room from 3.00pm and check out by 11.00am departure day. Lockers or luggage store can be provided on check out. Treatments that are booked outside of your thermal spa session will be treated as treatment only and as such the locker and robe will not be provided. Restores even skin tone, targeting unwanted areas of pigmentation. Encapsulated Vitamin C acts as a potent brightener, inhibiting future illuminated complexion. TOUCH: SKIN SOLUTIONS of sensitivity, oiliness and dullness for healthier complexions. ELEMIS Anti-Blemish Mattify and Calm combat oil and shine, while intuitive massage helps restore micro-circulation. A deeply detoxifying treatment for clear, bright skin. 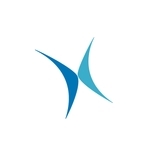 *Independent Clinical Trials. Restoring radiance and balance to all skin types, this luxurious treatment combines expert massage with the therapeutic benefits of British honey, propolis and active plant oils. Enhancing your natural beauty by working intelligently and in harmony with your skin to rejuvenate, tone and calm the complexion, restoring youth and vitality to ageing skin and a natural glow to tired, dull or stressed skin. A refreshing facial using ELEMIS products to cleanse, nourish and rebalance your skin. This nurturing and calming treatment for the head, face, back and shoulders was created to allow you to drift away into a meditative state of relaxation. Slow Tui Na Chinese movements rebalance and calm the upper body while the facial will replenish, nourish and revive the skin and ease tension. The ritual uses slow, soothing and rhythmic techniques providing complete tranquillity and deep relaxation. 100% certified organic Made for Life by Spiezia products nourish and protect. NEOM EXPERIENCE treatments have been developed to help with four key areas; sleep, stress, energy levels and mood. We drizzle the Neom Intensive Skin Treatment Candle oil over the skin, and massage the body, including key stress relieving points on the head, face, neck and back. Prepare to be lost in a blissful state, ready for a deep night's sleep. NEOM De-stress Treatment and provide specialist massage to key stress relieving points of head, face, neck and back. NEOM Energise Treatment ready to be fully enveloped in the Neom energising cream clay wrap. Whilst you're wrapped you'll experience a 20 minute face and scalp pressure point massage. Your skin will be lightly buffed head-to-toe using Neom Body Scrub, with its invigorating oils of wild mint and mandarin. We work to decrease stress levels and release endorphins, leaving you feeling relaxed and happier. A medium pressure massage using warm basalt stones to melt away tension. Your therapist will work with the warmed stones and luxuriously warmed oils to deliver heat into the muscles offering maximum relaxation. Deep rhythmic pressure massage. Alleviate high stress levels, ease aching muscles and revive the senses with this powerful deep tissue massage. Dynamic blends of essential oils and level of pressure are customised to target individual needs. Helps relax, recharge and re-energise, whilst tension melts away. works over the zones of the feet using treatment is subject to availability. A great combination of a 25 minute fresh facial and a Hot Stones Back Massage to relax and restore the bodies energy. A traditional style massage of medium pressure designed to soothe away tension held within the muscles of the back, neck and shoulders and full body with arms, legs, hands and feet. A relaxing massage using warmed oils designed to release pent up tension in the back, neck and scalp. If you are hunched over a computer, tablet or a smart phone all day then this is a recommended treatment for you. A full body scrub to leave skin silky smooth followed by an application of soothing moisturiser. Leaves you with an all over glow. Choose your own combination of facial and body massage, or let your ELEMIS therapist personally prescribe the perfect treatment to work with your skin, your mood and your needs. Condition your skin and muscles with this all-embracing experience. Combine ELEMIS hands-on TOUCH facial with your personalised Freestyle Deep Tissue Massage or Hot Stone Massage. This lusciously fragrant, intensely moisturising body wrap will leave you with skin that has never felt silkier. The velvety texture of the Monoi Oil used in this treatment offers super-hydration, quenching a thirsty skin. The aromatic oil is applied using sweeping strokes, then you cocooned and kept warm while the mood-balancing aromatics and skin conditioning oils do their work. Choose from Frangipani or Sweet orchid aromatheraputics. This treatment features a powerful blend of massage and detoxifying clay for targeted toning and tightening on hips, thighs, abdomen or backs of arms. Focusing on two of the above areas our therapist will use a powerful blend of salts, minerals and seaweeds to leave you with skin that looks and feels intensely toned and refreshed. A combination treatment that offers a full consultation followed by a cleansing and nurturing facial and massage to the head, neck and shoulders. Your therapy concludes with a soothing application of skin support products to leave you feeling blooming marvellous. Relief from heavy legs that feel tired by bed time… this uplifting, gently invigorating treatment will help to make you feel like you are walking in the clouds. Y Spa Beautiful Hands 25 mins fits the bill and leaves skin smooth and nourished. zones of the feet using pressure on the base of the foot. Choose from one of our fabulous facials or from one of our Finishing Touches for those hard to reach places! *Please see our ‘Pregnancy’ section under Terms and Conditions. ELEMIS High Performance Skin Energiser 50 mins regeneration, as steam and extraction decongests. Multi-dynamic facial massage sequences boost circulation, whilst scalp and foot massage deeply relax. Alleviate high stress levels, ease aching muscles of the back, arms and legs and revive the senses with this powerful deep tissue massage. Dynamic blends of essential oils and level of pressure are customised to target individual needs. Helps relax, recharge and re-energise, whilst tension melts away. Y Spa Hot Rocks Massage - Full Body 50 mins Back 25 mins heart of the muscle for a completely new body experience. Small stones are placed on key energy points, whilst luxuriously warmed oils are massaged deeply into the body for maximum relaxation. Treat those feet. Feet will feel clean, fresh and hydrated. is left feeling healed, smooth and nourished. A perfect Rasul experience to relax, cleanse and detoxify your body. You will apply different coloured medicinal muds and a prescribed facial mud to the face and body, whilst gently inhaling infused steam. Helps to cleanse the respiratory system, smooth the skin and detoxify the body. You can apply moisturiser after you shower. First you will apply Devils Mint body scrub before you take an invigorating shower. Your systems are then stimulated by Cellutox body oil while you enjoy the heat of the rasul chamber. Sluggish systems will be stimulated before the final application of body sculpting serum. ELEMIS Hot Stones Massage (body). A medium pressure massage using warm basalt stones to melt away tension. Your therapist will work with the warmed stones and luxuriously warmed oils to deliver heat into the muscles offering maximum relaxation. First you will apply a nourishing scrub before a relaxing shower. Apply de-stress massage oil and quiet mind temple balm before re-balancing the skins protective layer with skin nourishing milk bath. Enjoy deep levels of relaxation as your body is warmed to the core in the rasul chamber. A great combination of a 25 minute Fresh Face Facial and a Hot Stones Back Massage to relax and restore the body energies. Enjoy a luxurious exfoliation and massage to nourish and relax hard working hands and release those blackberry thumbs. Cuticles are tamed, pampered and conditioned. To complete your service, nails are prep'd and nail polish is applied with a top coat to finish for long lasting, high gloss shine. Immerse your feet into the pampering world of O.P.I. Incorporating the botanical extracts and hydrating properties of O.P.I's pedicure range, feet are soothed, scrubbed and hydrated and a mask is applied for the ultimate treat. After a foot massage, we complete your service with your chosen shade of O.P.I nail polish to finish. Enhance and define your eye lashes with permanent colour. HD Brows is the unique, seven-step eyebrow shaping treatment that focuses on design. It involves an innovative combination of techniques, including tinting, waxing and threading. Your eyebrows are a vital part of your personality. Not only do they frame your face, over 70% of your facial expressions depend on them. And thatâ&#x20AC;&#x2122;s why the right brow shape and colour can take years off you. HD Brow Maintenance** 30 mins maintenance treatment. A traditional eye brow tint and tidy using tweezers, wax or other depilation methods to define your brow and frame your face. A traditional eye-brow tidy using tweezers wax or other depilation methods. * French paint must be specified at time of booking. **As with hair colouring a patch test 48 hrs prior to treatment is required. Welcome to THE CLUB The Waterfront Hotel is delighted to invite you to become a member of THE CLUB, the online points-based reward programme dedicated to rewarding you for your continued loyalty to The Waterfront Hotel & Spa at Wyboston Lakes Resort. 1. Register your card To register, visit www.wybostonlakes.co.uk/theclub, click on Register and simply enter the Membership Number and Activation PIN found on the reverse of your membership card. 2. Earn as you spend Your CLUB card or app will be scanned at the end of every transaction through The Waterfront Hotel & Spa and the relevant points will be awarded. Your points will be saved in your online account which you can see on the website or through your CLUB app. 3. Redeem your points Your points can be spent at any time on a reward of your choice either on THE CLUB website or in-store at Y Spa. Your card has to be registered to spend your points. Y Spa packages are available to book online or if you prefer, you can call Reservations on 0333 7007 667. Lines open 9.00 am to 7.00 pm or you can email reservations@wybostonlakes.co.uk All Spa packages must be paid for in full at the time of booking. Y Spa is ideal for small bespoke celebrations. Organising your event could not be easier as our experienced spa team are on hand to support you, ensuring your event runs smoothly. Call 0333 7007 667 for more information. Preparing For Your Visit What to Do When You Arrive We ask all our Day Spa guests to come straight to the Y Spa reception located just past the main Hotel reception. Stay Spa guests are asked to check in at the main Hotel reception first. On arrival at Y Spa reception you will be asked to pre-authorise your account with a debit or credit card and we will give you your registration details and a welcome drink. Should you require a change of robe, towel or slippers, an additional charge will apply, we ask that these are left in the bins provided at the end of your day. A 2 course hot and cold buffet lunch is served with all Day Spa Packages and selected Stay Spa Packages. Other refreshments and a selection of smoothies and beverages are available from the Spa CafĂŠ and Spa Restaurant and can be charged to your account. Use of the thermal spa is only included in day and Stay Packages and not with individual treatments booked. A supplement applies for use at all other times. All treatments are performed in a private therapy room and we supply hangers for your clothes/robes. Please be on time for your treatments, as we should not like to disappoint you with reduced time being available or having to cancel your treatment. Y Spa is delighted to welcome mothers to be and have designed a range of wonderful therapies to suit you. Please ensure you advise the reservations team that you are expecting and the gestation period that you will be at the time of your treatments, so they can ensure that you are having the best experience. Please note that general medical advice for mothers includes the hydrotherapy pool, steam rooms and saunas which will be unavailable to you. We have wonderful relaxation areas, with waterbeds, the big sleep loungers, reading pods and maybe itâ&#x20AC;&#x2122;s the best time to indulge in some fabulous treatments during your visit. Please contact us with any questions prior to your visit. Should you have or have had a medical condition please ensure that you take responsibility to enquire about safe use of thermal facilities, heated hydrotherapy pool and spa area or any other treatments or activities. Completion of your medical questionnaire is informative however Y Spa does not provide medical advice and should you have/had a medical condition we ask you to consult your medical practitioner about suitability and advise us accordingly prior to your arrival. Please advise us in writing if you have any allergies 48 hours prior to arrival. Whilst we do provide wonderful spacious lockers for all your personal effects, we cannot take responsibility for the loss of any belongings or jewellery, so we ask you to leave all your precious things at home for the day. We ask that all jewellery is removed before entering the thermal spa area. Please do not leave any items such as phones, jewellery or medication in the robe pockets. Privacy - We hope all our guests enjoy the most wonderful, relaxed calm surroundings and we rely on all guests to be mindful of each other. We will not hesitate to ask guests who act inappropriately to leave the spa and in these circumstances no refund will be given. Clothing - We ask that swimming costumes be worn in the thermal spa experiences for the general comfort of everyone around. Age policy - Y Spa is open to over 18s only. Smoking - For the comfort of all our guests, the Hotel and Spa are smoke free areas. A designated smoking area is available outside the Hotel. Mobile phones - Whilst enjoying your day of relaxation and in order to get the most from it, please be prepared not to use your mobile phone while in the Spa. 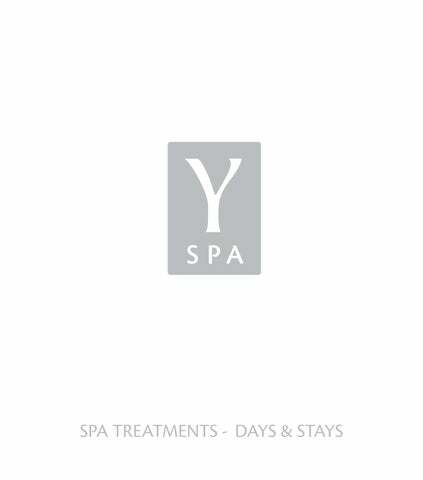 Y Spa reserves the right to change, amend, alter or withdraw any Day or Stay Package or any treatments without prior notification. For opening times please check the website for details.